sources, interviews. Updated by the P.O.W. NETWORK in 2001.
night medical evacuation missioN (dustoff). Gia NghaI Special Forces camp. disappeared from the screen at 2019 hours. determine why the source selected them. 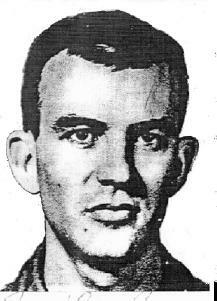 Wade Groth, a prison workmate of Foley's. MacDonald, Jenning and an O'Hare or O'Hara. believable descriptions of Foley and Groth. of his travels seems incorrect. members of the crew seems to strong to ignore. any substance to these reports. If even one is alive, he must be brought home. an urgent medivac at the Gia Nghai Special Forces Camp. Dustoff 90's blip disappeared from the U.S.A.F. the enemy, so it was normally avoided like the plague. meters from the top of the mountain. dispatched for search and rescue operations. "fire and lights" on the mountain. Detachment piloted by the unit's commanding officer, Maj.  Ronald C.
We could have reached out and picked the leaves off the trees. was suspended and the crew listed as missing in action. Now things begin to get strange. in command of his own dustoff unit. was there when Dustoff 90 went down. .30-caliber carbine ammo casings, and part of a flak jacket. 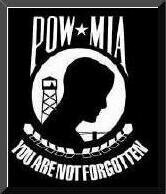 database maintained by the National League of POW/MIA Families. Lt.
Roe and Spec. 5 Brown were identified as POWs. book of personnel listed as missing in action. 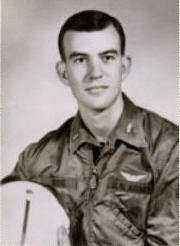 The CIA had determined it was only a "coincidence" a "Rallier"
Eagle, "home" to the 101st Airborne. Hanoi, working on a railroad section. obtain a fingerprint of Foley and a note for his brother. easy to tell it was Groth - red hair, freckles and all. would think he had some connections there. are here to bury this crew, not to find them . exploded and the entire crew was killed. comparatively intact in 1970. No human remains were found! What really happened to Jerry Roe and the crew of Dustoff 90? Are they prisoners of war or are they dead? 1970, or the person who called Maj.  Porta with the information. the wrong conclusions, based only on what they saw at the crash site. You would think also that nearly everyone "in the business"
those that have simply exploded in a fire. engage in a firefight after they were on the ground. missing in action! We have one mission still out: Dustoff 90.